Choose one of the lambs below, all the lambs are different. Provide some details about yourself and give your lamb a name. The AdoptaFarm adoption fee of 10.99 UK pounds (approx 16 US dollars) will be debited from your credit card across a secure connection. You can also pay in Euros if you choose, payment will be converted into your own currency on your credit card. Farmer Bob's Winter SALE! Buy one get one free! 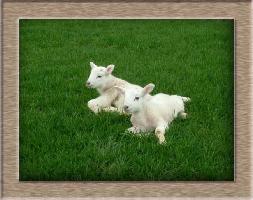 Simply purchase your adopted lamb and you will get a free online adoption to give to a friend. 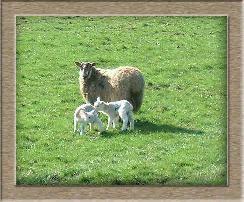 For example purchase one Adopt a Lamb Kit and get a free online adoption code at the same time. Simply fill in your details and your Adopt a Lamb Kit will be delivered to your choice of destination and an online registration code sent to your registered email address or adopt a lamb online and a free adoption registration code will also be sent to your registered email adress. 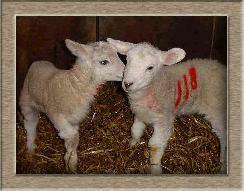 With either option the free adopted lamb can be passed to a friend of your choice. Or order the Adopt A Lamb Kit now. Receive it through the post and choose your lamb then. This option is ideal if you want to give an adopted lamb as a present. Well, this is me and my sister out in one of the fields at AdoptaFarm. 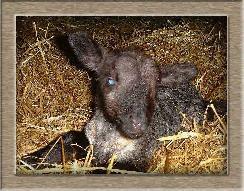 Like all of the other lambs on this page I am up for adoption for a year. 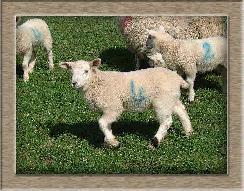 Find out all about life at LochDhu for me and the other lambs, adopt me for a year by clicking the Adopt Me Now button. Farmer Bob will arrange that the AdoptaFarm site allows you to view automatic monthly updates of our lives in pictures and stories. Hello, this is me and my brother. 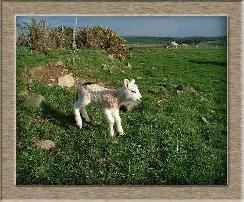 We live at LochDhu the AdoptaFarm farm and have only been born a couple of days. Farmer Bob says we will be famous on the sheep adoption site that he runs. If you would like to adopt us for a whole year and follow our lives in pictures and stories then just click the Adopt Me Now button. You can keep us as cyber pets and will learn about real farm animals on a real farm. Hello this is me AdoptaLamb number 4, I have been born for a few days at Lochdhu Farm and I am now out in the spring sunshine at Loch Dhu farm. Adopt me now - click the Adopt Me Now button and you can find out all about me in the coming year. Well here I am out in the field. Farmer Bob has said that I will be one of the cute lambs up for adoption through AdoptaFarm, sounds like a lot of fun to me! The black mark on my rump is a beauty spot, mum says that it is unusual. If you click the Adopt Me Now button you will be able to find out what I get up to in the year ahead, and have lots more fun with the site as well. 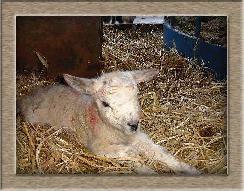 Hello, I have just been born and am having a little rest before I get up and wander around the lambing shed. Farmer Bob says that I will be one of this years adopted lambs which sounds good to me, what do you think, do you want to adopt me and look after me as your virtual pet? Hello there, glad you dropped by, here I am a short while after being born. I am lying in the byre at LochDhu farm. Mum, Farmer Bob and Dougie the Lamber are taking good care of me for a few days before I go out into the fields with mum. Adopt me now for a whole year by clicking the Adopt Me Now Button. 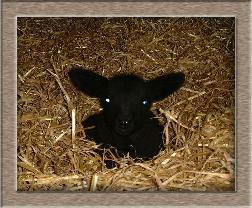 Hello, here is me a new lamb just born and feeling a bit woozy. I will just have lie down her for a few moments to get my head together before I think of doing anything. If you would like to adopt me just click the Adopt Me Now button. Hi there glad you dropped by to see us at the sheep adoption site. Farmer Bob runs this site so you can adopt a lamb and find out what goes on in our lives for the next year. We think this is a great cyber pet site and look forward to being adopted. To do that simply click the photo or the Adopt Me Now button and you will find out all about our lives from the day that we were born. Until then we are just going to sit here in the warm summer sun.